The Philips Fidelio X2's are a superb pair of headphones offering premium comfort and build quality with a sound that rivals even the most vaunted audiophile cans. These entertaining, comfortable cans are well worth a look-in. 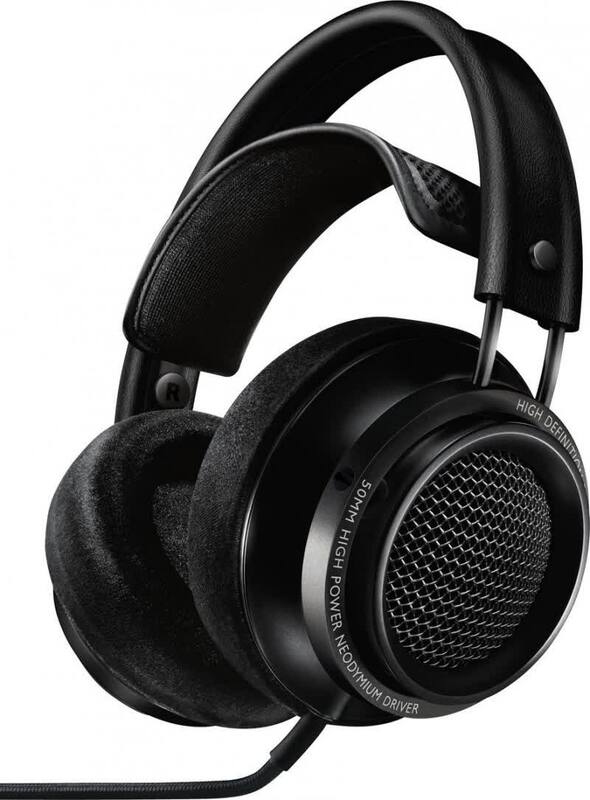 The Philips Fidelio X2 is a pair of headphones best suited for the indoors, next to a reclining couch or any other comfortable seat that you can really loosen yourself on, connected to your audio setup at home. While comfortable to wear, wear it for too long with your head in a wrong position and you can expect lots of strain on your neck. The 3m cable also means that you’ll be better off being leashed to whatever the X2 is plugged in to than to carry it along and shrinking the length of the cable down. The Philips Fidelio X2 is not for everyone. It does not sugar-coat the audio. It leaks sound which disturbs people around you. It does not isolate ambient noises to give you undisturbed enjoyment. But I still love it. 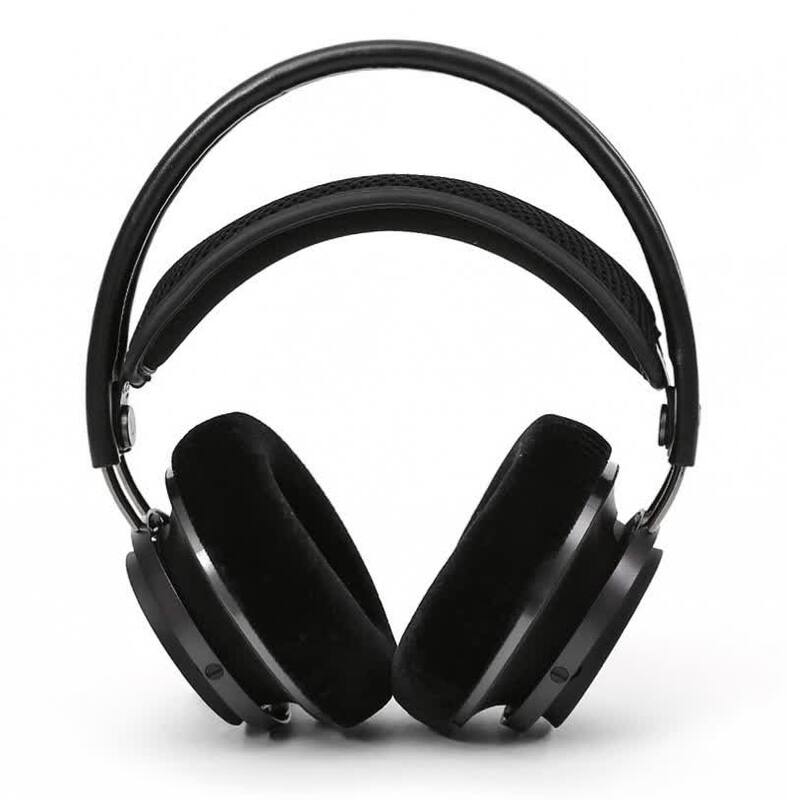 It is a spectacular pair of headphones producing transparent audio for critical analytical listening, delivering aural pleasure and gratification. 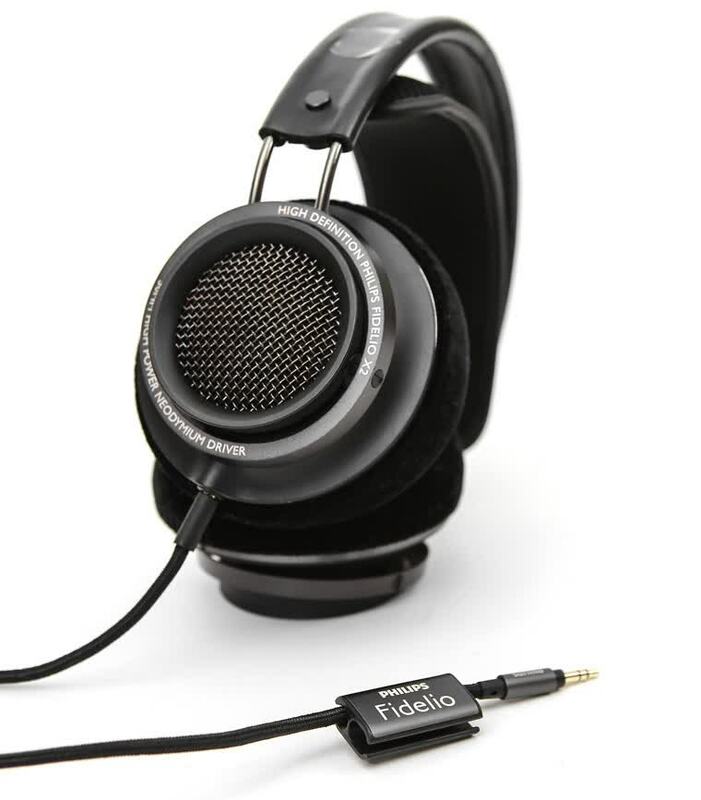 The Fidelio X2 is a serious pair of headphones that really can’t be used outside the home. If you prefer to have one pair for all situations it certainly won’t be for you, but for serious music fans that want excellent audio quality, it’s a superb choice. At £230, it’s significantly less expensive than other high-end open-back headphones, yet sound quality or design aren’t compromised. 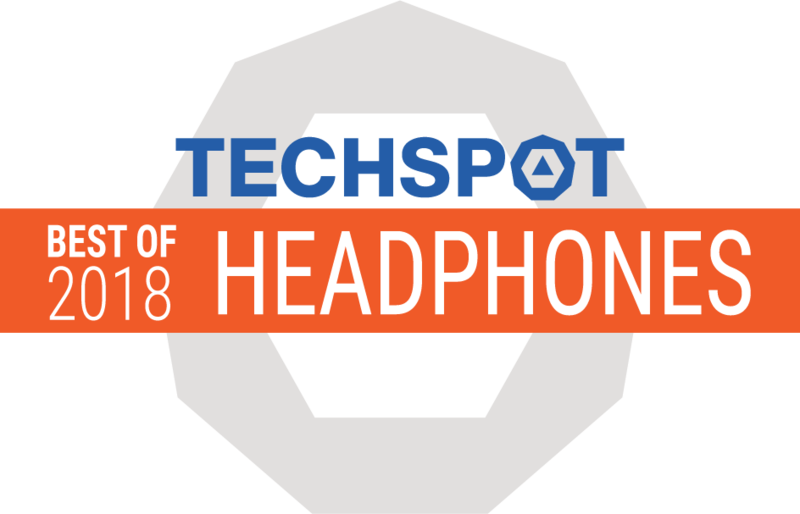 Only major audiophiles should consider spending more - for everyone else it gets our Recommended award. When quickly comparing the X1 and the X2, you will find that the X2’s sound has been tweaked. It has received replaceable cushions, a small jack connector, updated damping material, a new larger headband, a good measuring cable, a different driver diaphragm, and other sundry changes. Sure, on the outside it might look fairly similar, but I promise you, the X2 is no small revision. 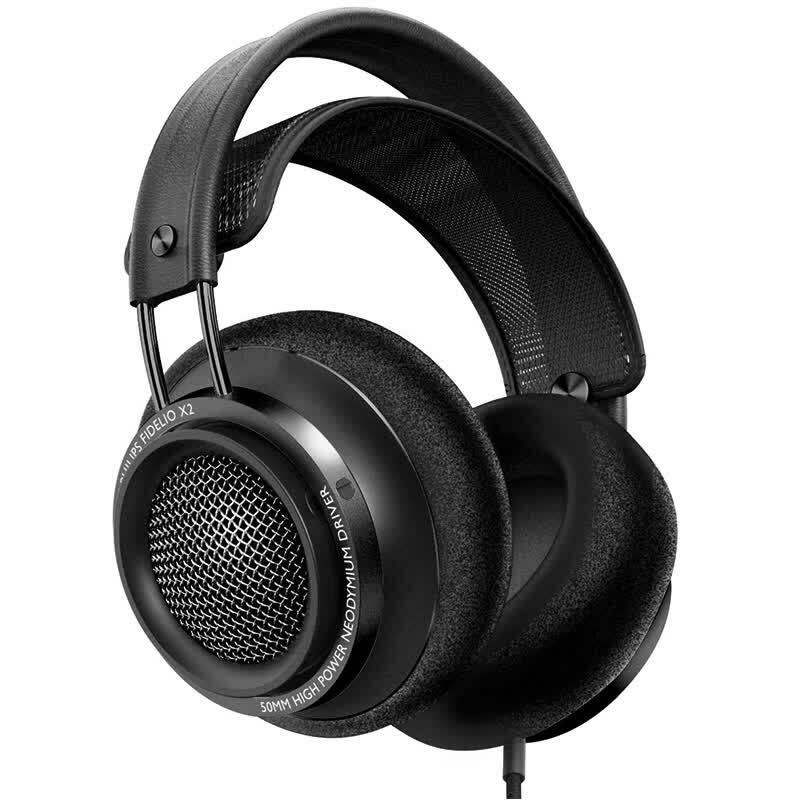 For the reasons mentioned above I am rating the Philips Fidelio X2 as Good. The latest model offers all the good things from the X1 with the addition of the issues being fixed. Sadly I don't feel those fixes warrant the big increase in price over the X1 but given time I'm sure the gap will get narrower. The Philips Fidelio X2 is going to hit the Wall of Fame like a boss. The only thing keeping it from knocking the HD 600 off the wall is its low 35 Ohm impedance that makes it a poor match for high output impedance tube amplifiers—something that the HD 600 does very well. But for most folks seeking a solid mid-level headphone audiophile experience, the Philips Fidelio X2 may be just the ticket. A huge thumbs-up from me. My favourite number for testing bass performance is O-daiko, a Japanese drum ensemble. Again, the X2 did well, bringing out the drum vibrations with solid, clean and crisp impact. The drummers’ calls were also very audible, riding just below the surface of the drum in the background. 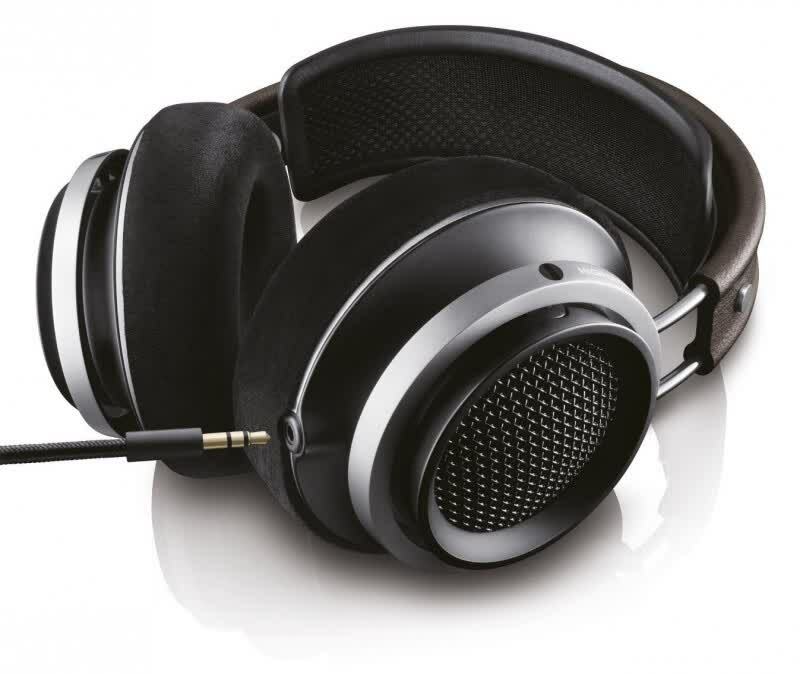 Le Philips Fidelio X2 est le digne successeur du X1, à savoir un casque qui réconcilie les audiophiles exigeants avec les autres, à la recherche d'un son plus grand public. Philips revient avec le successeur du Fidelio X1, le casque sédentaire hi-fi qui avait cartonné lors de son test il y a déjà quelques années. La marque néerlandaise vient de relancer la machine avec un X2 à diaphragme multicouche LMC (Layered Motion Control) pour affiner la réponse dans les fréquences aiguës et délivrer ainsi un son encore plus naturel. Alors ce X2, vraiment mieux qu'un X1 ? Costruzione fantastica, materiali di prima classe, comfort elevato e suono pazzesco: per il tipo di utilizzo a cui sono destinate queste cuffie, le Philips Fidelio X2 si avvicinano molto (ma moooolto) alla perfezione. Il prezzo elevato che qualcuno potrebbe obiettare è solamente un’ovvia conseguenza della qualità di queste cuffie. Non manca nulla, troviamo tutto ciò che una cuffia monitor dovrebbe assicurare, dimostrandosi al top in ogni ambito. Geschlossene Hörer sind hier meist im Vorteil - sie schließen Umgebungsgeräusche effektiv aus, man muss vergleichsweise weniger laut aufdrehen und Mitreisende werden weniger lärmbelästigt. Wer aber dem Klang des offenen Hörers verfallen ist, kann natürlich auch diesen - bei technischer Eignung - spazieren führen.